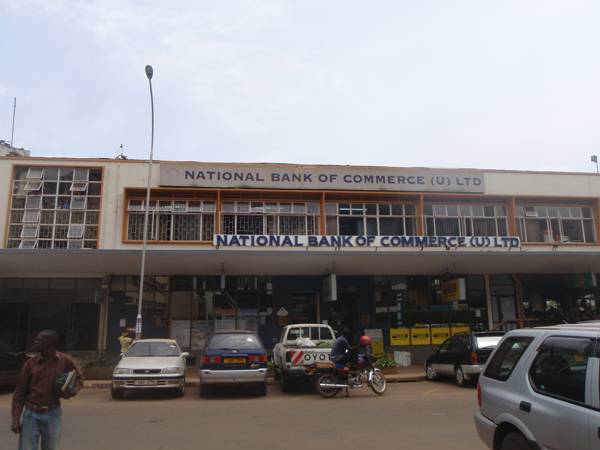 After more than three troubled years of boardroom battles, weak balance sheets, and stretching the patience of its clients to unimaginable limits, the National Bank of Commerce finally ran out of time yesterday afternoon, with Bank of Uganda revoking its license. A statement from the Central Bank noted that the action was taken because “NBC’s activities [are] detrimental to the interests of its depositors”. So detrimental that BoU opted to suspend NBC’s board. BoU has now shifted the deposits of NBC’s clients to Crane Bank, the biggest local bank in terms of assets and deposits in the country. BoU says NBC clients will be able to operate their accounts and access their deposits from any Crane Bank branch or the two NBC branches: one in Kabale and the other in Kampala along Parliament Avenue. That statement is heavy in showing how serious the Central Bank is in protecting the interests of NBC’s depositors, but is extremely weak in showing any sense of regret for delaying to close a troubled bank that had failed numerous stress tests and handled its shareholder disputes in gung-ho manner. This is the first time in more than ten years that BoU has had to revoke the license of a bank. The last such occurrence was in the late nineties and led to the liquidation of three banks: International Credit Bank (ICB), Greenland Bank and Cooperative Bank, in two years — a development that left a stain on the country’s banking industry. The closure of NBC will not create the kind of fear the earlier incidents sparked, mainly because many industry players have known all along that it was just a matter of time before the bank would choke on its troubles — besides, NBC is too small a small bank to create significant fear. Nonetheless, there are a few concerns - like how much NBC depositors will get when they go to withdraw their savings. When Greenland Bank, ICB, and Cooperative Bank were shut down, none of the depositors got more than half the deposits they had saved. This is because when BoU was carrying out liquidation of the three banks, it had to pay the creditors first with money from the banks’ cash reserves. Whether NBC has enough reserves to pay off its creditors is simply guesswork at the moment. The impression from BoU’s statement, though, is that the depositors might have very little to worry about — although it is fair to say that the bank’s balance sheet has been in a terrible state for a long time, forcing the major shareholders to recapitalize it with about Shs 7bn a few months ago. Should the depositors feel cheated in any way, questions will be asked about the kind of regulation that allowed a bank in such a shape as NBC’s to continue operating for this long. After all the shareholder disputes and the weak financial statements for more than three years, BoU made its first significant intervention in March 2012 when it placed an advisor to oversee the bank’s management. It is clear now that probably that intervention did not do much to save the bank. There will also be some interest in the reaction of the NBC shareholders, given their profile in the country. Two of the major shareholders are senior ministers —Prime Minister Amama Mbabazi and ICT minister, Dr Ruhakana Rugunda. The other interesting figure among the top shareholders is tycoon Amos Nzei. The trio is accused of failing to relinquish a major stake in the bank to investors from Abu Dhabi even after receiving the money. They were sued and the case is still in the High Court.